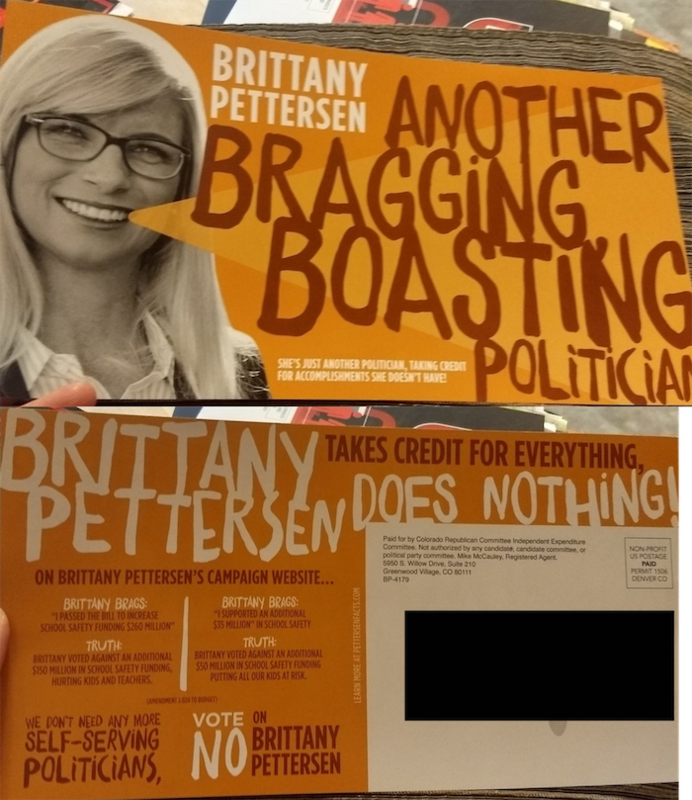 This mailer from the Colorado Republican Committee's super PAC attacks state Rep. Brittany Pettersen, chairwoman of the House Education Committee, naming two items she's cited as accomplishments and saying she "does nothing." Pettersen is running for an open state Senate seat against Republican Tony Sanchez. The mailer says Pettersen's website says she passed "the bill to increase school safety funding $260 million." Her homepage actually says, "I passed a bill to increase funding for K-12 by $266 million a year." She ws the sponsor of the School Finance Act, which increased school funding. The mailer also says she "supported an additional $35 million" to improve school safety, which is true. She voted for at least two bills that increased funding for school safety programs. But the mailer also says Pettersen voted against budget amendments to increase funding by $150 million for schools and $50 million for school safety. Those amendments would have taken money away from Medicaid reimbursments or the state employee pension program, according to the Denver Post, and the school safety bills later allocated money for school safety.